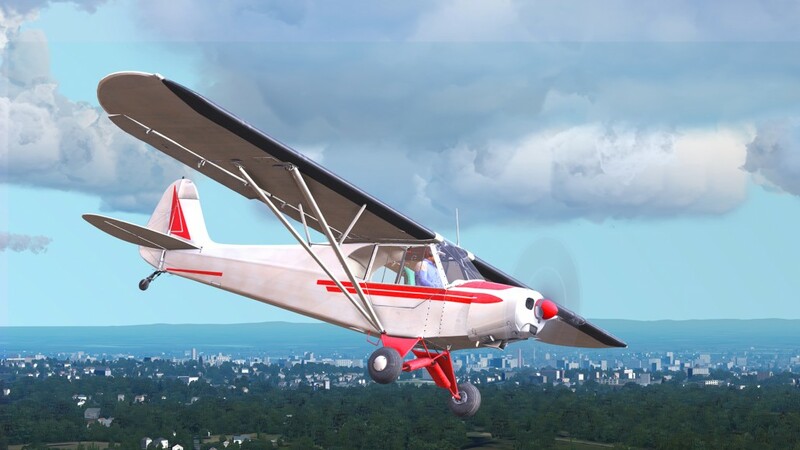 DTG Flight School – what do we know about the new flight sim from Dovetail Games? 64-bit architecture. ORBX cooperation. 3 planes only. And no add-ons. This is how the “entry level” sim looks like. Flight School is going to be the “entry level” sim according to Dovetail Creative Director Steve Hood. It means that this will be the right product for everyone who has just discovered the world of flight simulations and requires introduction to this genre. 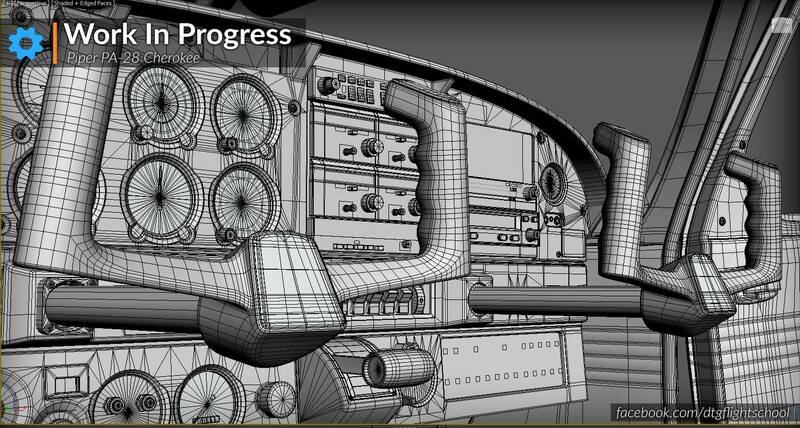 As such – this will not be something that people already engaged in FSX, P3D and X-Plane look for. I have a feeling that the main aim of Dovetails is to test the new technology and the changes to the Flight Simulator X before the more advanced DTG Flight Simulator is launched later this year. I like this approach and I like the direction in which DTG is heading. The Flight School itself is (for me) just a curiosity which hopefully will attract new gamers to the world of flight simulation. There are two details in the requirements that I am truly thrilled about – 64-bit architecture and DX 11 support. The benefits od DX11 are clear – it will allow for visual improvements – especially in lighting and tessellation. I doubt that we will see the benefits of 64-bit architecture in Flight School. Judging from the system requirements it would run in 32-bit environment. But I can clearly see the benefit of testing 64-bit architecture in FSX based simulator before the new 64-bit DTG Flight Simulator is released. It is worth noticing that Prepar3d is still a 32-bit software and there is no confirmation if or when it will be recoded to 64-bits. When I look at the disk requirements (40 GB) I see that Flight School requires much more than the old FSX (which originally shipped on two DVDs). I hope that this means that ORBX FTX Global was integrated in some way. Flight School is a based on Microsoft Flight Simulator X. When looking at videos created at Insomnia 57 you can see fsx-like mission compass, fsx-like green message stripe. The world also looks like what we know from FSX (with ORBX Global add-on scenery/textures). When looking at the wiremesh of the new plane I noticed the 3d gauges – that is certainly an improvement over the default FSX aircraft. I expect these planes to be much better than FSX defaults. Unfortunately we know nothing certain about the level of simulation they offer. Flight School is said to be exactly what the title promises – a school. According to Dovetail’s Steve Hood DTG FS will follow the European LAPL(A) and American PPL training and their 15 lessons will be tailored to teach what both this licences require. This is where I have some doubts – is it really enough to do 15 lessons to show the process of becoming a pilot? I also wonder how this training will be different from the flight school that was created for FSX. Some viewers might have noticed that videos made at Insomnia 57 showed that there are some enhancement of the airport environment. Unfortunately – the airport that was visible in one of those videos is still far from the level we expect from the leading scenery creators. Judging from the system requirements – I do not expect much more – Core 2 Duo and a 512MB GPU will hardly handle any of the latest airports by ORBX. Additional lessons, missions and licences will appear later? Steve Hood has said that DTG is considering (or will consider) additional lessons or next licence courses after the Flight School is released. I hope that Diamond DA 42, which is coming this summer to the Flight School, will be used for advanced training – starting with multi engine and extending to instrument rating and commercial pilots licence. Add-ons – what about DLC? No 3rd party add-ons, no SDK. I am lost in DTG information about add-ons. At first I fought there are no add-ons planned but this was contradicted by plans to include new planes (like the Diamond Twin Star) and new licences in the Flight School. Currently it is not clear for me whether this will be added as free updates or as payed DLC. As to 3rd party add-ons (payware or freeware) currently there are no plans for any of such planes or sceneries.